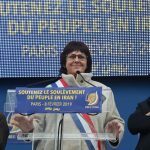 Michéle de Vaucouleurs, a member of France’s National Assembly, addresses MEK supporters in Paris during the February 8th Free Iran Rally. Four decades ago, almost to the day, the Iranian regime came to power following the ousting of the Shah. Now, 40 years later, to mark the occasion, Iranians around the world are turning out to protest the regime’s violent and repressive rule. On February 8th, 2019, Paris hosted one such protest. 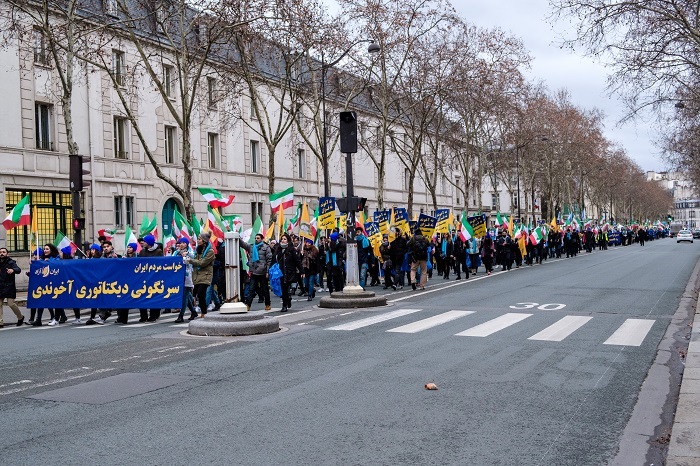 Protestors walked from Denfert Rochereau square to the French National Assembly, calling for an end to the continued human rights abuses in Iran, a cessation of Iranian state-sponsored terror, and for the regime to terminate its nuclear program. The event drew support from prominent political figures from around the world, many of whom joined the protest. Maryam Rajavi, president-elect of the National Council of Resistance of Iran (NCRI) addressed the protestors. She told the protestors that now is the time for the overthrow of the mullahs’ regime. She also called on the international community to recognize the NCRI and MEK in their struggle, and end policies of appeasement that further embolden and empower the tyrannical regime. For Rajavi and the MEK, including the regime’s Islamic Revolutionary Guard Corps (IRGC) and Ministry of Intelligence (MOIS) on EU and US terrorist blacklists is a priority. While these groups are still free to operate freely around the world, Europe and the United States will remain at risk of terror attacks. The protestors and Maryam Rajavi also appealed for tighter economic sanctions against the regime. Many held banners advocating stricter controls over Iranian oil exports. Ultimately, the money earnt through the regime’s oil industry goes to funding terrorist attacks and proxy wars abroad. The only way to stabilize the Middle East is by reducing the mullahs’ access to these finances. 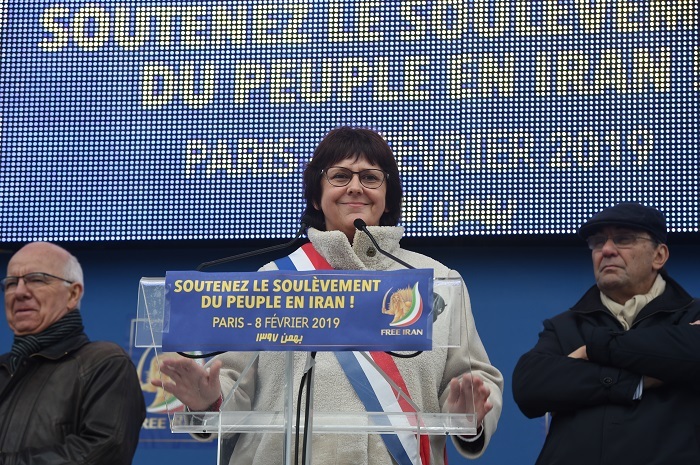 In addition to Maryam Rajavi, speakers at the event included a member of France’s national assembly, a former Prime Minister of Algeria, and Alejo Vidal Quadras, the former Vice President of the European Parliament. Vidal Quadras said, “I call on the EU to take a hard line with this theocratic and terrorist regime which has no future.” He also echoed Mrs. Rajavi’s calls for the inclusion of the Iranian regime’s forces in EU and US terror lists. 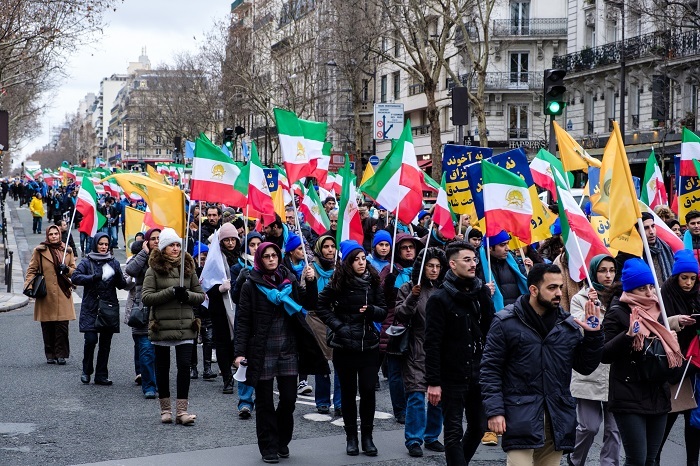 The protestors that braved the cold and filled Paris with their drums, chants, messages of condemnation, and also messages of hope, showed just how strong the Iranian opposition is becoming. United, their voices are heard. A similar phenomenon is taking place across Iran. The strikes of protests that engulfed Iran in 2018 show no sign of letting up. The people have found their voice and that voice is calling for regime change.